Well he’s not French if that’s what you’re asking. I just started watching and both players are looking good. Both have more winners than errors. Not sure what match some commenting are watching. Tomic hit some big first serves in that last game. 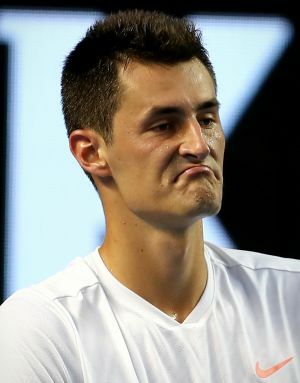 Djoker has looked pretty average to me, but Tomic is playing well. Tomic is literally a Santoro with a better serve. How arrogant of him to be Fedr. Hahaha he lost to Hurkacz. in b4 someone says Fed should have tanked for Hurkacz to beat Thiem. Well he hasn't turned into a HC GOAT over night. @Meles got cocky and this happens. hahaha Thiem time is up..
Hurkacz has recorded 3 top 10 wins in just 4 weeks. Not bad. Hurcacz has recorded 3 top 10 wins in just 4 weeks. Not bad. All against the Lost Gen surprise surprise. So the guy who would trouble early Fed has just lost to Hurkacz. Fraud again avoiding his toughest opponents. That guy's jacket lol. Must be suresh's uncle. Although Thiem is really in between. Hu Hu just played solid, nothing that fancy! Respect. No one expected the Sunshine Double out of him for sure, but a decent result would’ve been nice. At least a QF. Sometimes average is enough. I think some people expect Djokivic to goat in every match and when he doesn't that means he's playing poorly. He already looks better than IW to me. 15 winners to 8 unforced errors first set is good. It's just Robin Fraud gifting big titles to the poor. First he gifted slams to Delpo and Cilic, then a masters title to Delpo and now he has gifted a masters title to Thiem. Everyone talking about Khachanov and Coric, but maybe Hurkacz will amount to something. For now, he at least seems consistent, even beating some top players along the way. Hurkacz bakes a cake(walk) for Novak. Well yeah, average is enough against Tomic even if he’s playing well. I’m not saying it’s time to panic or anything. This is pretty standard for a top player at the start of a tournament. They rarely play their best to start the week. Not on purpose of course, but they almost always get better in later rounds. The concerning parts are the way he donated that break (at love, I think? ), and how many returns he's missing, even on 2nd serves. He looked very out of sorts for a lot of the 1st set, regardless of what the numbers say. Well he called the trainer out right? He has a sore on his thumb from what the camera showed. Maybe he got a little distracted. From what I've seen he looks pretty good. Yeah, pretty much lol. Though I still think Djokovic should’ve won that USO and he would’ve beaten Cilic tbh so that wasn’t so much Fed’s fault. Yeah, would agree with this. Again, not saying it’s time to panic, but I’ve seen Djokovic play much better than that. Who would Joco play in the next round and when would he meet tricky Nicky? Thiem will be 26 in 5 months. He is beyond a NextGen in-between. Tomic could have had a top ten career, you can still see it. It was the moment Djokovic lost. Novak lost before Fed played his match, so it was all in Fed's hands after that.